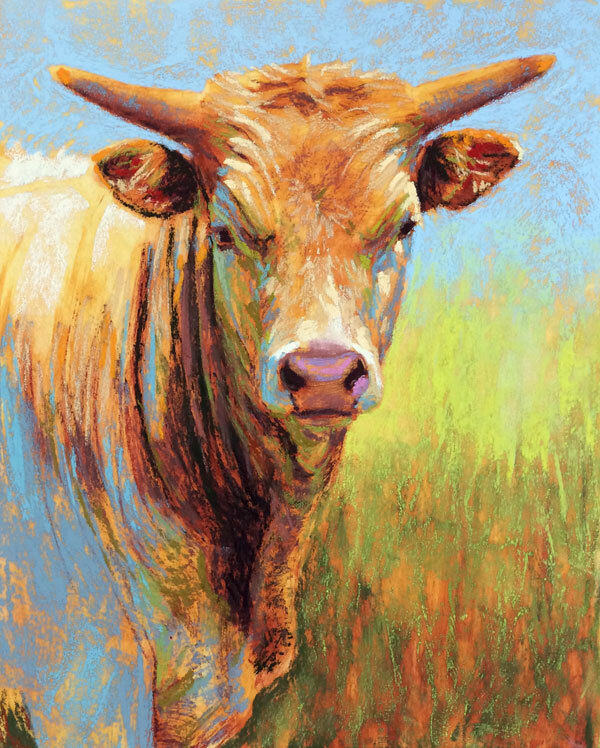 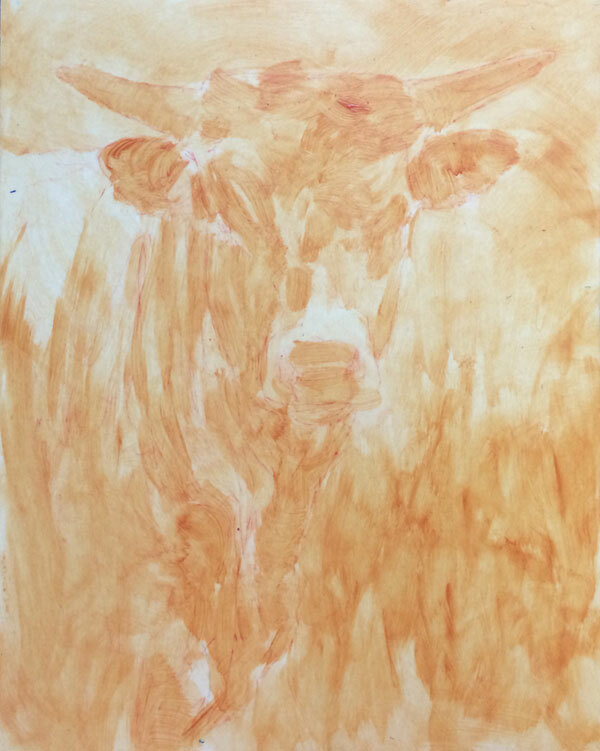 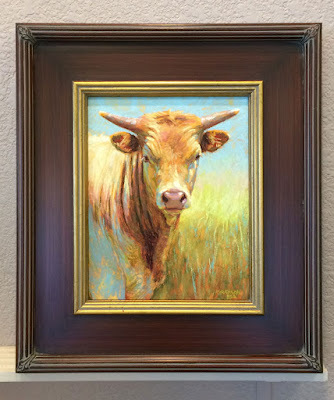 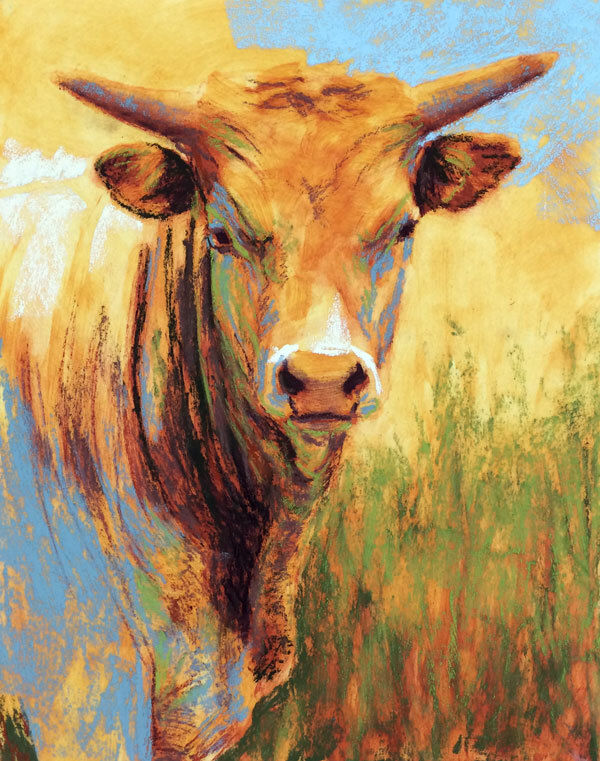 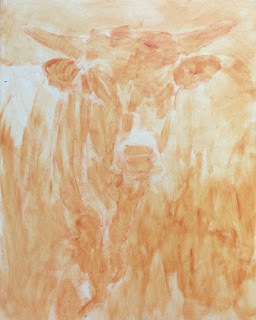 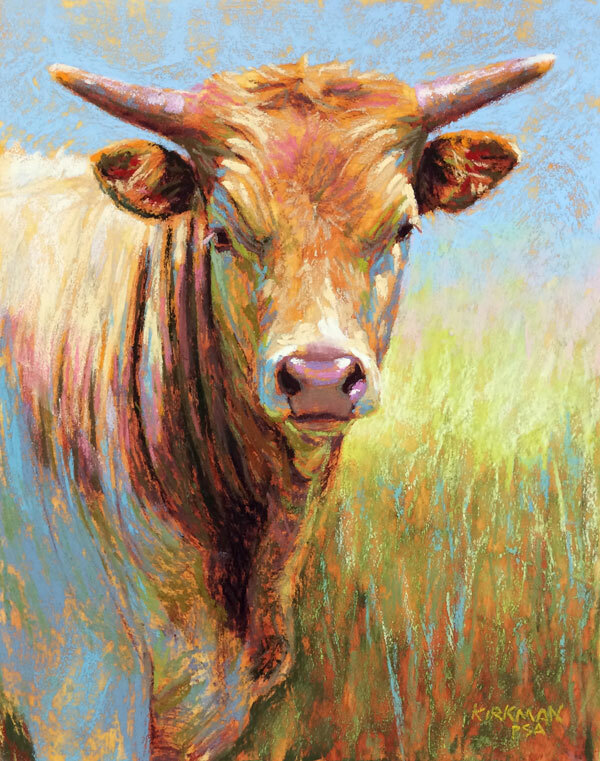 I had this handsome young Longhorn under-painted a while back, and added the pastel yesterday. 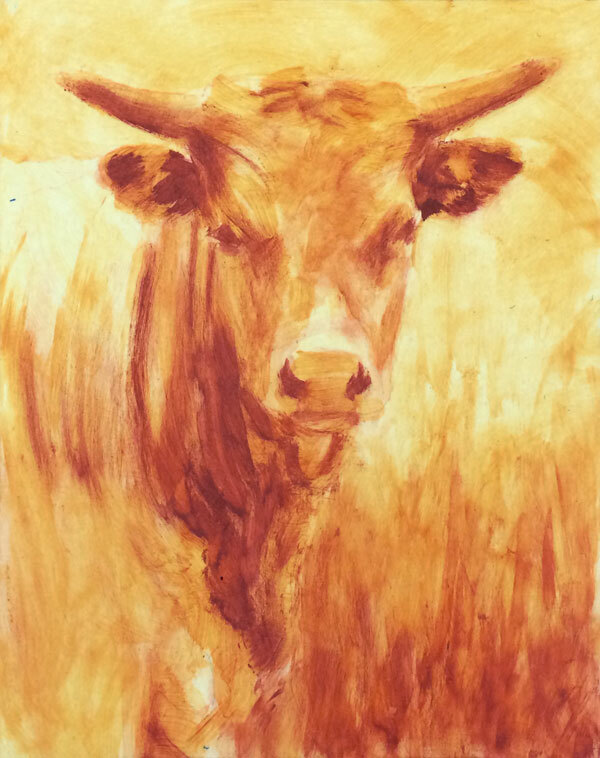 This is a perfect example of how I never really know exactly how the pastel is going to look until it's done. I think I had set this under-painting aside for so long because this "sort of brown patchy young bull" was not quite as exciting to me as some of the white-faces, bunnies and other animals I've been catching up with. 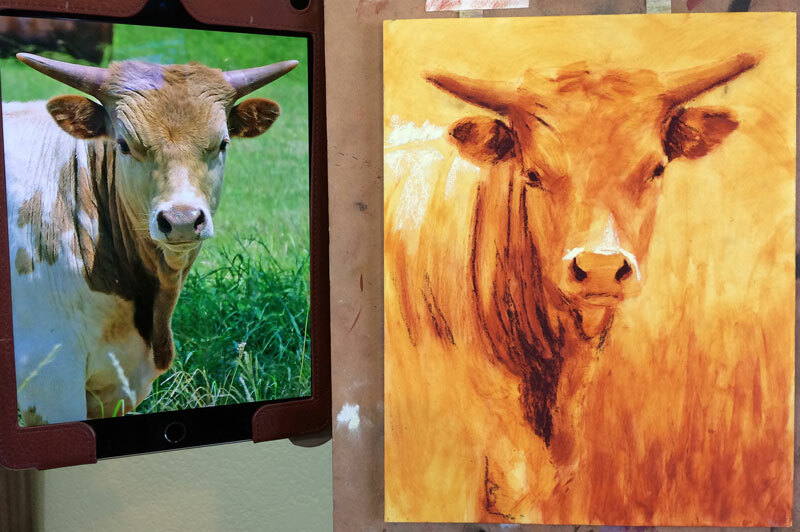 But I was pleasantly surprised with how he came out after all!